Irish Record 66lb 8oz taken on 15.07.1979 by Cyril Young at Carlingford Lough. This is one of our un-official sport fish. It is streamlined and powerful and every bit the hunter-predator that its larger cousins are. It has a large and distinctive notched tail, two dorsal fins and large pectoral fins. Below the long snout, the mouth is equipped with small but razor sharp teeth. The body colouration is cream or light-grey under-belly leading on to silver-grey flanks and grey back, sometimes brown-bronze. Tope are popular throughout the Irish coast in season, and are usually over clean or patchy ground, or areas leading from heavy rock and kelp onto sand, but can also be found in some muddy estuaries. Tope are a member of the Shark family and resemble their larger cousins in every way. The bigger fish are usually the females, whereas the males tend to be smaller, in the 7-10 kilo weight bracket and can usually be found hunting in large packs. 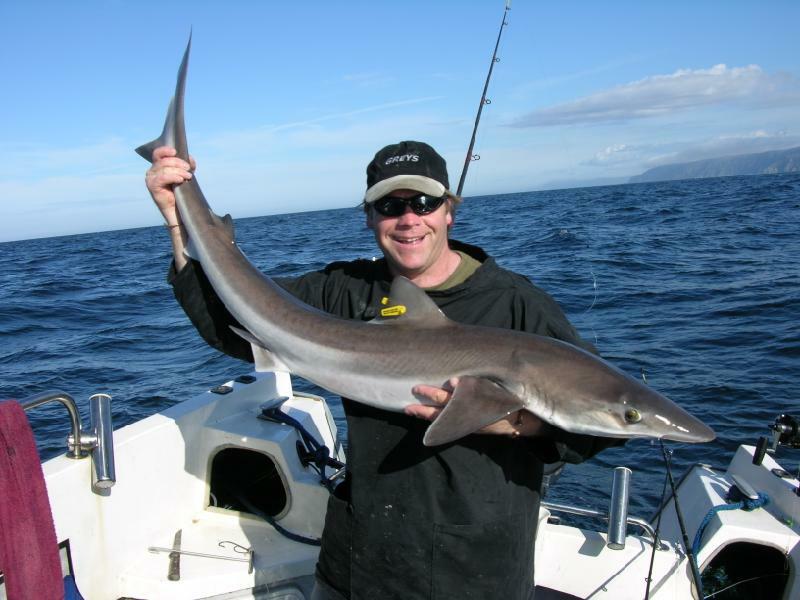 Notable areas to target Tope are Culdaff and Lough Swilly in Donegal where the average size range is 25lb-35lb, several areas around Galway where fish of 40lb-50lb appear and can be caught from the shore, off-shore marks out of Bray and Carlingford Lough, where although sporadic, can produce fish of record proportions. 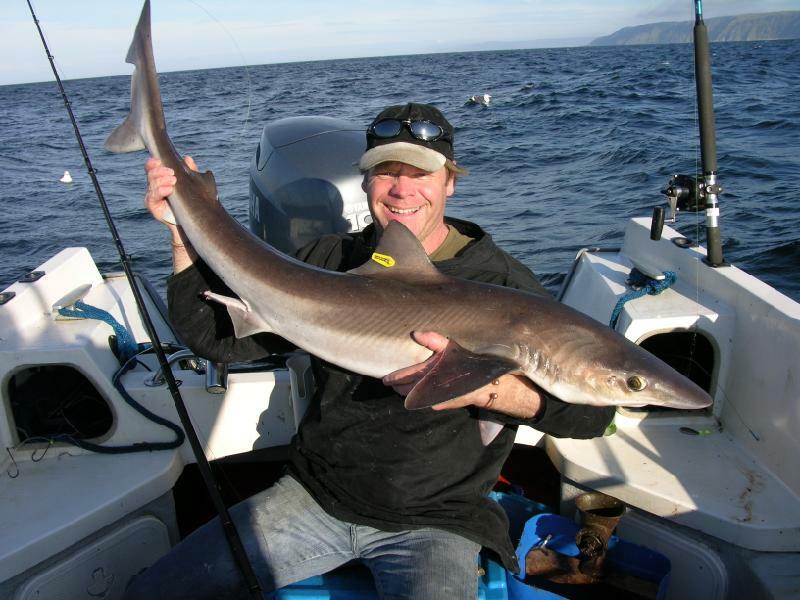 Wicklow and Arklow produce great catches on the south-east coast. 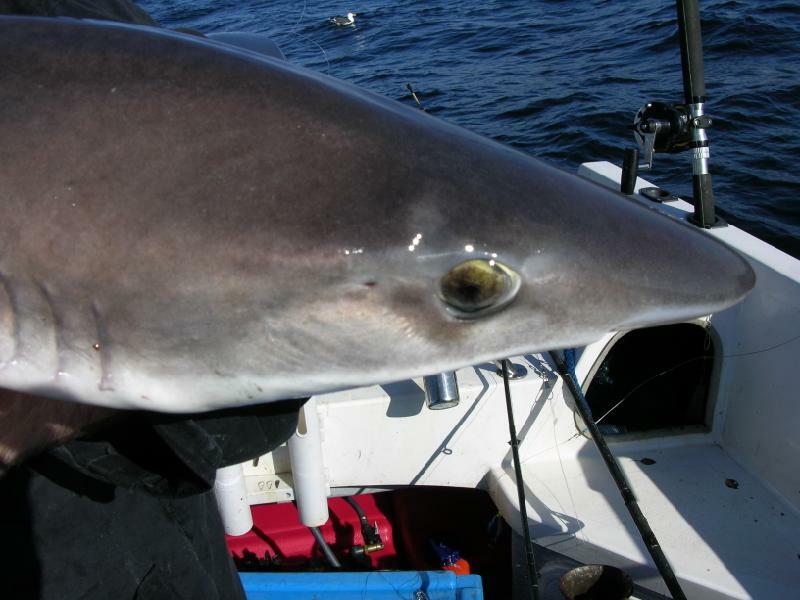 Tope are present throughout the year, but numbers dramatically increase after spring and throughout the summer months, with large females appearing towards the end of summer-autumn, although this is a generalisation, as many areas in Ireland have their own specific “peak” times. Mackerel, whole, filleted or cut as a flapper, accounts for most Tope but Whiting can work exceptionally well, and I have seen some very good Tope taken on whole or double Launce. Tope are primarily an active hunter-predator, but will take peeler crab, small flat fish and occasionally scavenge on dead fish on the seabed. Standard down-tiding at anchor is the preferred method using a flowing trace. This will require at least six feet of “rubbing” trace of at least 100lb b/s and a wire “biting” trace to protect the main line from the Tope’s rough skin and razor sharp teeth to some extent. Hooks should be heavy-gauge wire, size 6/0-8/0 and extremely sharp. When up-tiding, a similar trace is used, only shorter in length to aid casting from the boat. Up-tiding is effective in reasonably shallow water, at anchor, where boat noise and disturbance may keep the Tope a small distance from the boat. In the interests of fish conservation, the Irish Specimen Fish Committee have introduced a length-based specimen category for Tope. 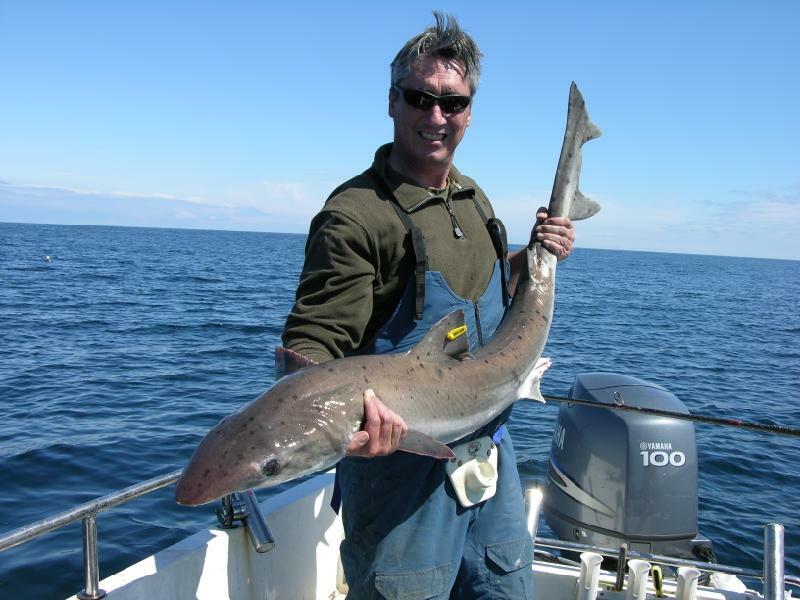 Using a recommended measure board, potential specimen fish photographed at or above 1.6 metres will be eligible as a specimen. There is also a handy formula to work out a shark’s weight using measurements. I stress that this is not acceptable for specimen claims, but merely as a rough guide to the weight of the fish, and is recommended by I.G.F.A. Multiply the girth in inches, by itself, and then add the length taken from tip of nose to fork of tail. Divide by 800 to give an average weight, as shown below. Example: Girth = 23", and Length = 61"